Geosense® VWLC 5000 series Vibrating Wire Anchor Load Cells consist of a cylinder of high strength steel with 3 to 6 vibrating wire strain sensors (depending on capacity) mounted parallel to the longitudinal axis arranged equidistant around the circumference to measure the compression of the cylinder under load. They are manufactured with a centre hole to accommodate anchors, rock bolts and tendons. 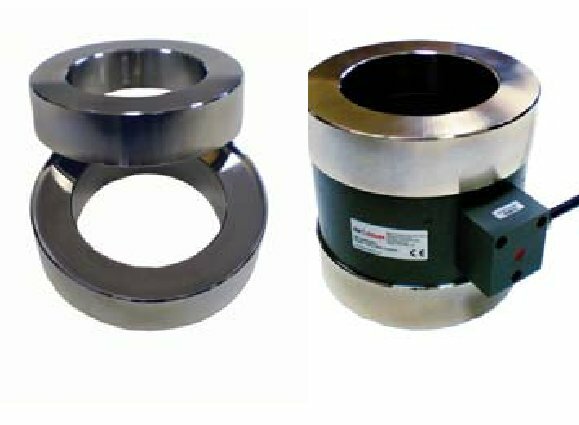 With the multi sensor configuration it is possible to obtain accurate readings under mildly eccentric loading conditions as the sensors are read individually. The readings from the individual sensors are averaged and when used in conjunction with a calibration factor, supplied with each cell, allow the applied load to be calculated.In multi strand anchors it is therefore possible to tension the strands uniformly by monitoring the load in each sensor as appropriate. The abutment plate (to be sourced locally) is normally made to suit specific site requirements and load distribution plate pairs (supplied by PCTE) should be used to minimise eccentric loading and provide a smooth parallel bearing surface and evenly spread the load to the cell. These should be inserted between the load cell and the anchor head. A vibrating wire strain gauge operates on the principle that a tensioned wire, when plucked, vibrates at its resonant frequency. The square of this frequency is proportional to the strain in the wire. Around the wire is a magnetic coil which when pulsed by a vibrating readout or data logger interface plucks the wire and measures the resultant resonant frequency of vibration. Deformation within the steel cylinder will cause the wire ends to move relative to each other. The tension in the wire will change accordingly thus altering the resonant frequency of the wire. 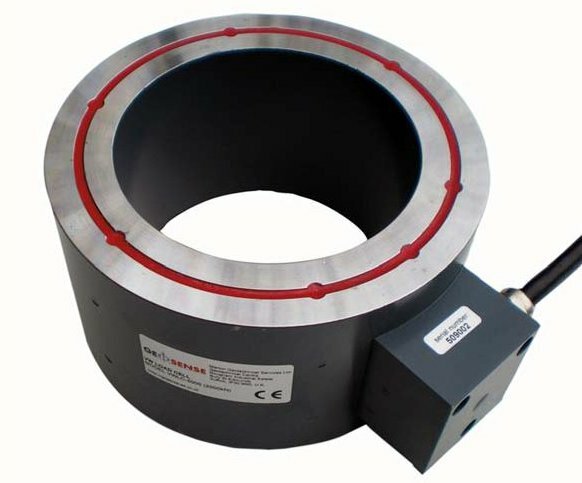 VWLC-5000 vibrating wire Anchor Load Cells may be read by the VW-2106 or any vibrating wire readout device and may be readily connected using any datalogger with vibrating wire interface modules. Cable may be readily and simply extended on site without special precautions. Gauges may be read up to 1000 metres away from their installed location without change in calibration.